If you are someone that is either confused because you are about to make a career choice or if you find yourself sitting in your current career dissatisfied – this article is for you! 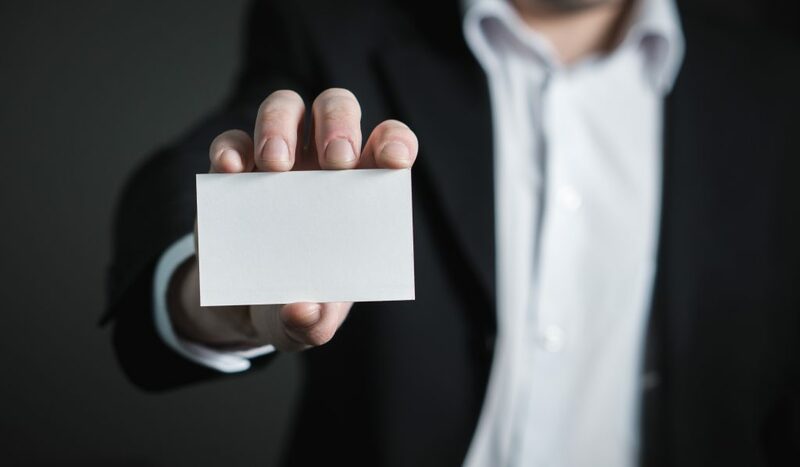 Decide what your next business card says? Look through your old exam cards or university results and find out what areas you excelled in. Then narrow the list further by identifying those subjects that really excited you or put you in a state of flow. These subjects which you found effortless while other friends struggled, are your natural born abilities. These are usually the subjects or skills that had other friends coming to you for assistance. They can give you insight into where your strengths and passions lie and should be leveraged in the search for finding the perfect career for you. If you are confused about your career and don’t know where to start, looking at job ads can really give you great insight. Apply to different job sites and put down the sectors you are keen on joining. Then as jobs become available you can view what they entail and learn more about whether you may have an interest in it. If you already know what career you are interested in pursuing this can help to identify gaps in your knowledge and where you could possibly improve. Tips on finding the perfect career for you lies in the social cues around you. Identify what friends and family often come to you for advice on. Is it to listen? Or is it the technical skills you possess. This can help you identify what skills others see in you which you may not have previously known. Often we are so caught up in a race to excel in something we are not good at that we fail to realize that we can easily be brilliant at something that we have a natural tendency to understand effortlessly. Whats good in your current position? What aspects of your current job do you love doing and which you constantly get praised for. This may even constitute a 1% in your current job description but can help to identify your next career move. Is it your Excel analysis skills, strategic mindset or maybe brilliant programming skills. If from these there are any that you would love to delve into wholly, maybe this is the sign that you should shift towards that direction. You may even find that there’s a position in another department that excites you – so be open minded. Remember networking can help broaden your horizons. Learn about what others do and you may find your dream in a career in unexpected places. Even after you identify the various skills and subjects you may be interested in – the choices may still be very broad. It is therefore important to dig deeper into the niche area that appeals to you. For example when I realized my skills lied in problem solving I thought engineering in general was my passion but later realized that the field of biomedical engineering, a subset of engineering, was really my true calling. Dig deeper to find what you really want. The more you master your skills in niche areas the better your chances of standing out from the rest and making your mark. Even after finding the career you are passionate about, you need to decide on the medium through which you want to practice it. Do you prefer teaching as opposed to actually implementing. Are you research minded or pragmatic. The medium itself can have a great effect on how much you enjoy your career. For example when I chose engineering, I soon found that research was more up my alley as I preferred to be on the cutting edge of innovation as opposed to implementation of principles. Decide what it is that makes you happy and make it happen! So with this advice in hand, go forth my fellow job seeker and make the right career moves for you. Remember money should always be the result and not the goal. Choose a career you love so that you never have to work a day in your life. PREVIOUS POST Previous post: You Are Practicing Mindfulness… And May Not Even Know It! NEXT POST Next post: Have Fulfilling Careers – Does Your company Satisfy These 4 Requirements?